Ever see someone in a meeting with a notebook taking visual notes and think--I wish I could do that? 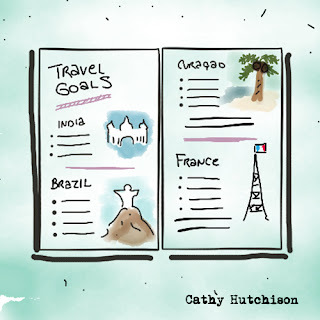 Or maybe you've just seen visual journals on Pinterest and have found yourself a little bit jealous. 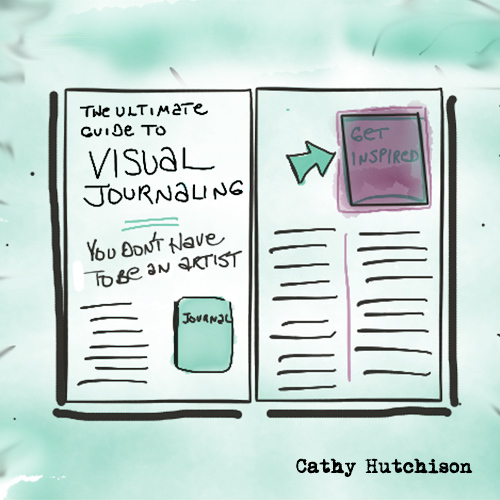 Think you have to be an artist to keep a visual journal? You are dead wrong. This post covers the tips, tricks and techniques for keeping a visual journal in a way that doesn't care about artistic talent or sloppy handwriting. And it all starts with putting information on a page. Get started. Steal a layout technique. If you've ever read a magazine, you've seen layout techniques. Magazines are a visual medium and they use devices like headlines, subheadings, callout boxes, columns and divider graphics to promote some pieces of information and demote other details on a page. 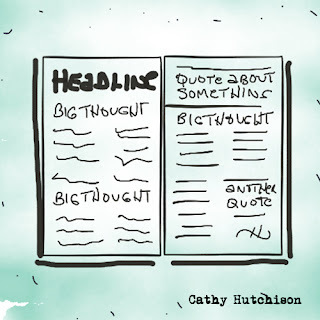 In a magazine layout, a headline gives the overall topic that all of the rest of the information on the page is related to. That allows us to flip through multiple pages and either find the article we are looking for or browse topics to find where we want to stop and read. Write it with a thick pen or marker. Write it in bubble letters. Write the letters first in black then outline it in a different color. Embellish the letters with dots, serifs or other differentiators. 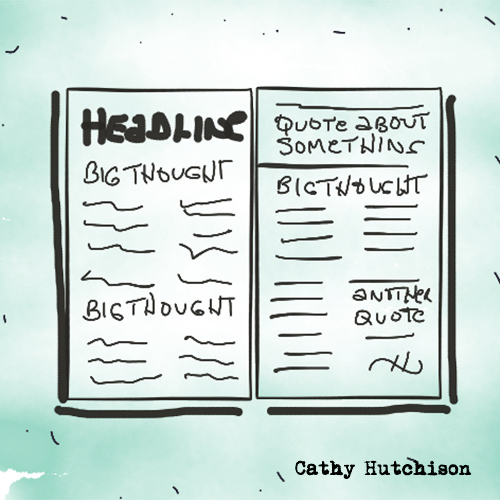 Like headings, subheadings are major points of information that usually have some smaller text beneath them. You can use the same techniques that you use for headers, but on a lesser scale. You might even choose to underline your subheads or add stars, arrows or bullet points to promote them over the general text on the page. Write the text outside of the flow of the rest of the text in larger letters. Write the text in all caps. Draw a thick line above and below the block quote text. Draw large quote symbols around the block quote. Use a different color to draw a box, circle, cloud or large brackets around the quote text. Draw a vertical line to the left of the called out text. 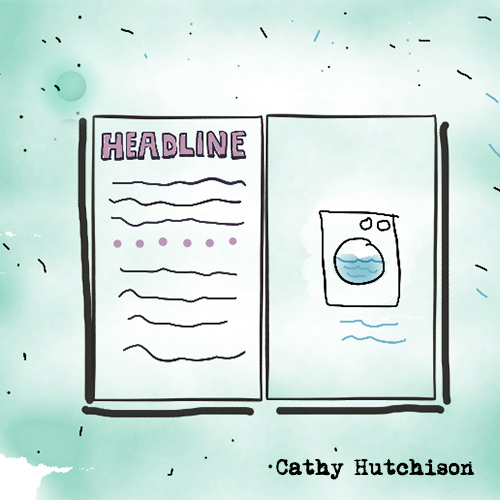 While some graphic journals are made up only of headlines and some bullet points, others contain narrative or “body” text. This is the part that is going to be extremely personal. Don’t get hung up in the neatness of your handwriting or whether it is straight or not. Handwriting is as unique an identifier as a fingerprint. While you can work toward legibility if you like, the thing about a journal is that its text is for you—like writing a book for yourself. Body text can flow across the full page like a letter or can be written in columns like in a magazine. One technique that will make your body text consistently easy to follow is to use the same ink color for it throughout your visual journal. 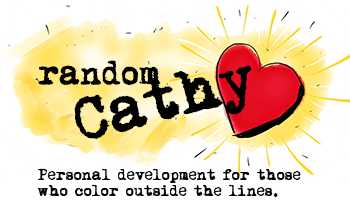 While headings, subheadings, block quotes and callout boxes may leverage different colors to make them pop, body text is the “steady Eddie” in the background. Make it constant so it is easy for your eye to track the flow. Borders and text dividers can give a page character. They can be as simple and unobtrusive as a couple of dashes on either side of a page number at the bottom of a page to as complex as a full graphic border running around the page. 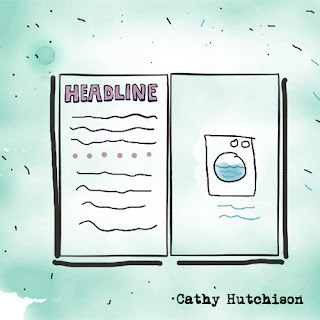 Use a horizontal double line, bold line, dashed, hatched or dotted line to end an incomplete page before you start a new topic with a new headline. Use a vertical line to separate columns of body text. Purchase scrapbooking border tape and add to the edges of your pages. Do an image search for “page borders” to get inspiration. Make it more visual—no art skill required. There are a wide variety of adhesives to fix your materials into the space. Double stick tape is particularly effective and easy to find. Glue sticks don't often last over the long haul, unless you purchase one specifically made for scrapbooking. Other adhesives that can be fun to play with are photo corners and sticky dots. Anyone can draw basic shapes—even if they do it poorly. Stick figures and other simple lines and shapes can be used to communicate ideas. Remember that your journal is for you. One of the great ideas to come out of the Bullet Journal system is the technique of numbering all the pages in your journal before you start capturing information. In the Bullet Journal system, you leave the first few pages of the journal blank so that you can create a table of contents as you go. The number of blank pages needed is dependent on the size of your writing and the number of pages in the journal. As you create new journal pages, list them in the table of contents and note the page number. It creates a fantastic reference when you are looking for “that page” later. Oberon journals are deluxe embossed leather covers into which you insert thick, diary-style, hardcover journal inserts. Of all of the brands listed here, these have the most personality in terms of cover design and while the initial journal purchase with a cover is expensive (between $50 to $100), the inserts run only $10. The Visual Journal is a simple spiral notebook of art paper with a thick cardboard cover. At less than $8, it is an incredibly affordable option for beginners. While many people keep monochromatic visual journals, adding color can really give it pop. Try some of these tools. 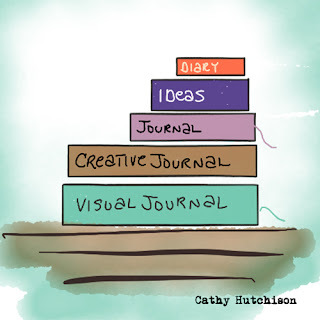 So now that you have a journal, what do you use it for? managing tasks and to-do lists. 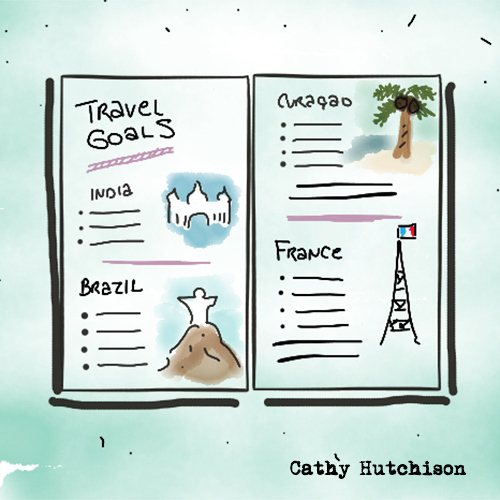 With visual journaling, the choice is up to you but one of the most effective ways to use it is to carry it with you everywhere and record anything that you want to remember later. With practice, creating layouts in real-time becomes easy. You learn the pages of your notebook and it becomes easy to record what you want you want to record. Journaling is an adventure in imperfection and the more you contribute to your visual journal the more you will learn and improve your technique. Focus on quantity of entries rather than quality. And if you are truly nervous about it—start cheap. Get an inexpensive notebook and plan to throw it away once you are done. The process is fun no matter what the result. 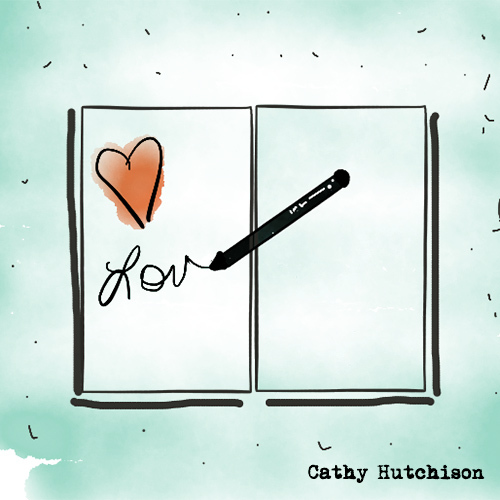 This blog post launched a whole new website for me. 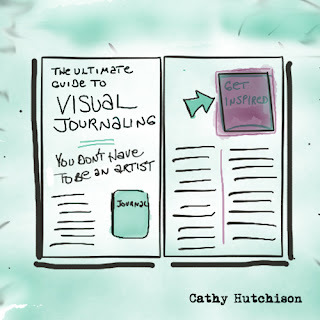 If you want to go deep with this practice, check out yourvisualjournal.com for specific tips to inspire your own visual journaling practice.